Blinded vs Open Peer Review: What’s it Gonna Be? The goal of any change in peer review is to improve the quality of review. 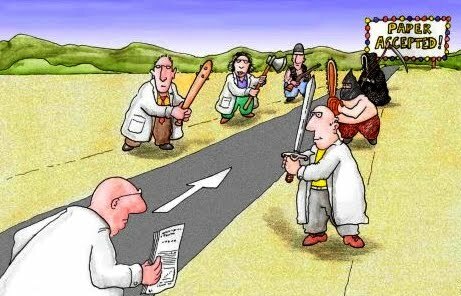 Whether your journal conducts single-blinded, double-blinded or open peer review, it’s never a bad idea to take a step back and assess the review process. Are your reviewers productive and efficient? Notice any articles getting stuck in the review process? Authors eagerly (and perhaps impatiently) awaiting approval for publication? We currently offer single-blinded review at Cureus, but we’re open to whatever results in the best possible process. What are the pros and cons of blinded and open review? Well, single-blinded reviewers don’t have to hold back when it comes to criticism. We recently polled the Cureus community, looking for insight into the review process. Roughly 60% of respondents indicated they’d be less likely to levy harsh criticisms if participating in open peer review. OK, so then the answer must be blinded review, right? Well, not so fast – there’s also the question of review motivation. Now this problem is nothing new – indeed, most every journal has difficulty getting their reviewers to, well, review. Making the review process public could serve as a way to recognize reviewers for their contributions, while also bolstering their profiles with publicly recorded reviews. So which is the right style for your journal? Unfortunately, there is no clearly defined right answer. How about giving reviewers the option? Would you choose blinded or open if given the chance? Enhanced Navigation and Article Displays Have Arrived!